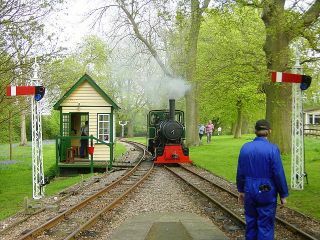 The B&W is a historic narrow gauge railway in beautiful woodland in the heart of the Kentish Downs. See restored narrow gauge locomotives, beam engines, vintage vehicles and equipment, and a Dutch street organ. Aside from steam rail equipment, the Bredgar and Wormshill railway has a number of steam-driven engines on view, including steam traction engines and farm equipment. There is a collection of petrol-driven Bean vehicles, including a 1920s bus. You can see a replica Victorian steam-powered beam engine and pumping station. Regular steam journeys go from Warren Wood Station in Bredgar to Stony Shaw Station at Wormshill.